How to Make the Right Fastlane Decision in an Agony of Choices? Discussion in 'General Entrepreneur Discussion' started by richRich, Feb 3, 2019. "How can I provide for the family (Income) and still get the most out for my fastlane journey." 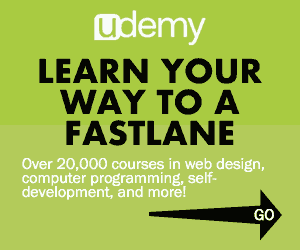 The fastlane journey being an internet business or application of some kind. I want to start building this business from zero as soon as possible, so that I need a side income that will cover my current expenses. My goal is to find a solution for that side income that will leave me with the best opportunities for my business. Studiying in Germany is almost free. I'll get a loan from which I will have to pay back only 50% and I'd probably, at least in the beginning, will have to get another loan (which has quite low yearly interest though, about 3%). Some kind of implicit Scalability might come from networking(students, professors, companies), my new university being a very good one. Data Engineering is also a great niche for blogging, so that a valuable blog could be build around the knowledge gathered from the study program. Working three days a week part time should cover all costs. Implicit scalability might also come from contacts. Would be something like a website/webservices creation service in the beginning to pay the bills. I probably will have to jump between income generation work and business creation blocks (idea conceptions, validation, implementation) to find the core business. For the first few months, I could imagine to build some prototypes and landing pages to build my portfolio and start validating some of my ideas at the same time. Simultaneously continuing to research and network. As you can see from the weights, all factors would maybe be a 10, but I still stacked them in a hierarchy in which I would take a best case opportunity before the other. I value my education and think that I will learn in all areas but of course building real stuff for real people and exploring different fields. Considering that Own Company is also the most challenging one and also the one that is out of my comfort zone, shouldn't it be the number one choice? Do I have some wrong/naïve ideas, e.g. regarding my "Own Company" plans? In general, I will be thankful for any advance and critique! I’m confused. What are you trying to figure out? Affiliates, online poker, dropshipping, ebay / amazon selling (you can buy stuff from local small industries and sell them online at a profit), freelancing, writing.. It depends on the time frame, how long do you have to set it up, 1 month, 2, 6? How many months can you live with the money you currently have ? etc. I'd say either poker or part time job in your case. 3h commute ? And you want to work during it? Just move closer to your school.. It will pay for itself. Get a roommate if you need to. A 3h commute sounds crazy to me, that's 15h a week, 60h a month that's mad. Figure out how to build websites or do good facebook ads or something. Look for small local businesses and call them offering to get them leads or fix their website (depending on what they need/what skill you have). Charge according to the value that you are providing. Hey folks, thanks for your tips, but it is not what the original post was about. In the original post, I don't ask for how I can make an income with my OWN COMPANY (option 1). I would be actually doing some kind of freelancing there. I tried to evaluate in the OP which of the options (OWN COMPANY=freelancing, STUDYING, PART-TIME EMPLOYED) is the best in order for me to have as much as possible time and energy to work on my fastlane business.. In my opinion, OWN COMPANY is the better choice with the fact that you value your time. Even if building your own company requires more time overall than a part time job, you still are free to work (or not) whenever you want. It's harder and not a guaranteed income, but you'll become the master of your schedule instead of getting it printed by your boss. Rabby and richRich like this. Did you seriously just recommend online poker as a side gig to someone who never even mentioned if he's ever played poker? Greg R, Chapas, Rabby and 4 others like this. Uuh I don't like the sound of this. Time will fly, money will run out. Generate cashflow asap, get to the point you earn an income that allows you to pay your bills comfortably. Either the part time thing, or find some local companies to sell your services to as freelancer. Then decide /reevaluate out of a position of strength, never a good time to start a "real" business if you don't have the bills covered or you have a short runway. Totally great advice and what I had in my mind as well. 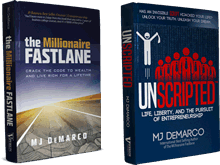 However, the greatest challenge that I see here is that there will be phases of weeks or even months were I will be doing hard work for my clients not being able to focus on the fastlane business for the most time. The biggest contrast here provides studying actually: It is the one with least responsibility towards others than myself. Thus it leaves me with the most energy apart from the times where I have to be at the university. I won't have sick projects at work or for some clients sitting in the back of my mind. This can be very powerful actually to pursue the implementation of my fastlane business. Didn't guys like Zuckerberg, Jobs, and others join a university for just the sake of being officially occupied while working on their own stuff? Could you imagine to start a business when your costs are just covered by being a student or is it too short of a runway? It's still interesting to think about other options, too, so thanks for the input. Not sure that they will drain less energy if you take them seriously. If I don't take the STUDY or PART-TIME option then I'll have about six months where it will start to get uncomfortable without income at all. Haha, haven't played for a few years now, maybe it's time to rock Berlin's tables again. Don't like to sit on a short bankroll, though. Would be really interesting to see how the players developed. Back in 2011 - 2015 it was just a huge party. Jeff Noel and Fassina like this. It's simple math, and practice. If he wants little income without having time to set up or required costs it's a good option. Frankly I'm surprised how few people use that option, with how low the barrier of entry is and how high the income can get.. If you're young, have no skills, ideas, or money, it's frankly a better option than most 9 to 5s you could get. It pays better and proportionately to your effort, can be done from anywhere and at any time..
Not fastlane of course, but as an immediate side gig it's far better than most minimum wage jobs available. Have you had any success with it yourself? I played poker succesfully about 6 months. Black day came for Full Tilt Poker - and I lost an interest in it. Then and there that was a good option. As Kahneman wrote - poker is between blackjack and bridge - and for sure better than stock market. richRich, Will-v-the-World and Fassina like this. I did, and am currently considering quitting my job to get back into it. Anyway, this thread is not about poker, I've no interest in selling it to anyone either. If anybody is curious or wants to learn more they can find all the information they want online. Btw I don't think the way you went about it is optimal, anecdotal evidence is not statistically significant and all. It also sounds like the typical Scripted when you tell them about entrepreneurship. Be skeptical, that's good, but google is a better way to check the accuracy of information than asking people if they've done it themselves. richRich and Will-v-the-World like this. Ugh... I paid rent to a penthouse in San Diego for a year, from grinding the hold'em table, 10-14 hour days on 4-8 pot limit at a local casino. It's absolutely possible, but it's mind numbing. I haven't touched cards in 13 years because of this. richRich, Blek and Fassina like this. Frankly I'm surprised how few people use that option, with how low the barrier of entry is and how high the income can get..
Nowadays the barrier is much higher online, though, in a sense that you will have to put considerable effort into learning and getting on track to squeeze out a few BB/100. I seriously calculated and considered taking a shot at live play with a few Buy Ins which gave rise to my dopamine levels. But finally decided against because it would not really align with my current skillset and longterm goals. Ideally, I develop a plan and a portfolio in 3.b) that aligns with my business idea in 3.a) and opens possibilities for passive income in the long term. Frankly it's not so easy. I'm a chessplayer - many top chessplayers switched to poker - because of "money". It's not so easy to be a chessplayer / pokerplayer - it's not only to learn the rules. Jeff Noel and Will-v-the-World like this.